Yeah, sorry about last week, guys. Computer troubles. As you might have noticed, my blue marker is dead, so I had to do a boring background in GIMP. I'll probably make it awesomer tomorrow, but anyways, here it is for now! EDIT: Here is the coloured version of the previous page. 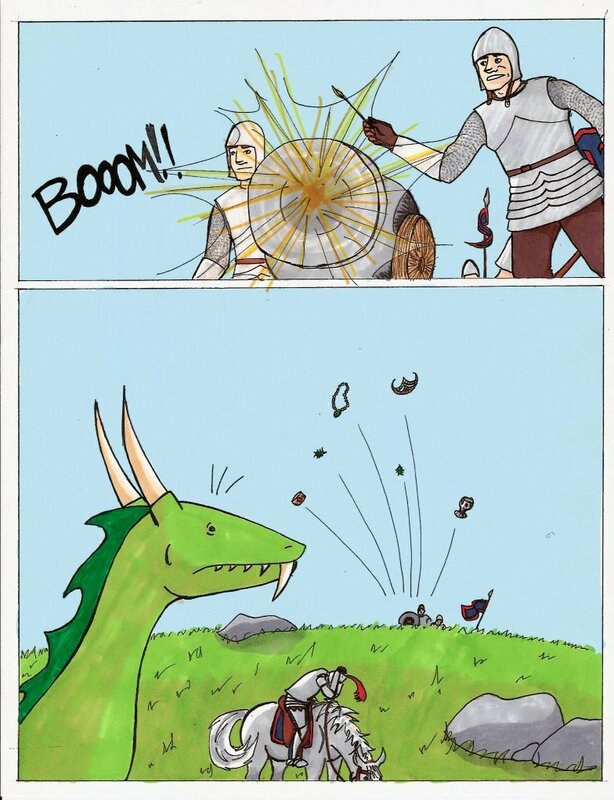 The dragon's expression is pretty amusing. He just wants some canned bacon! I like how the knight is doing a duck-and-cover, despite being fully armoured! You'd be surprised how bendable you can be when you are stuck between the proverbial cannon fire and a dragon.